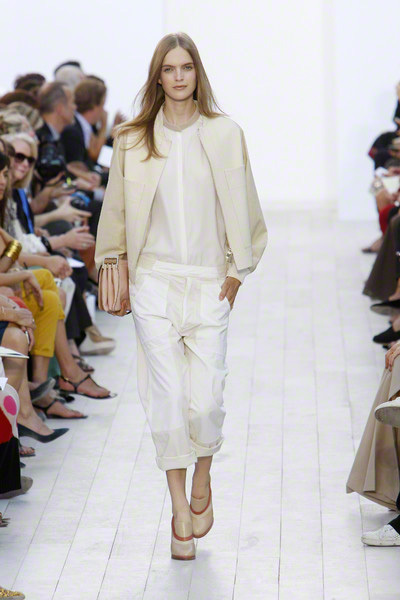 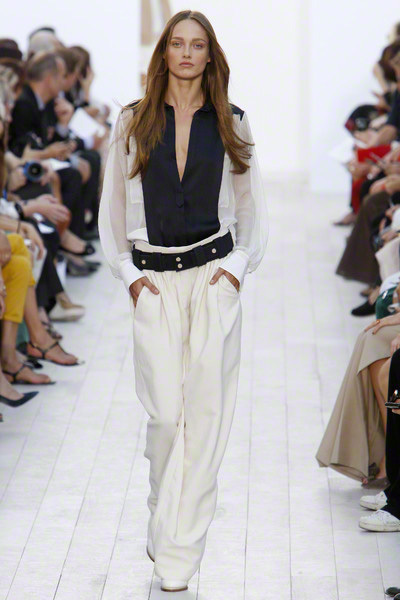 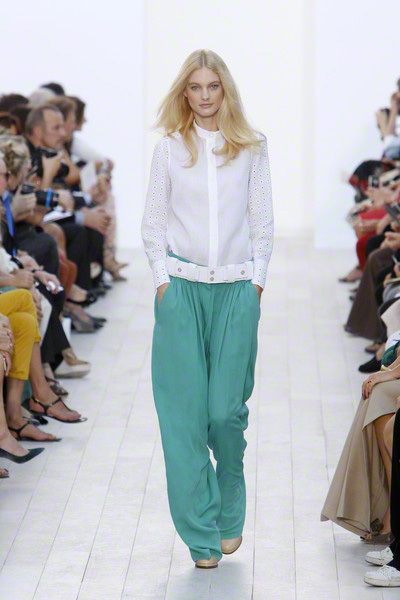 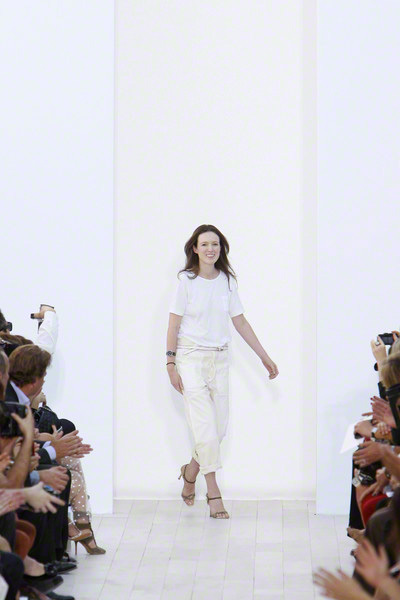 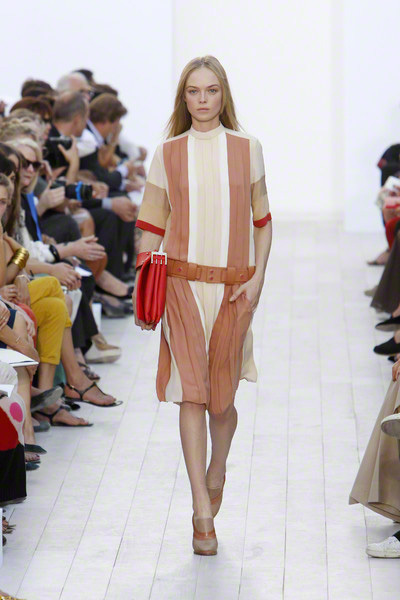 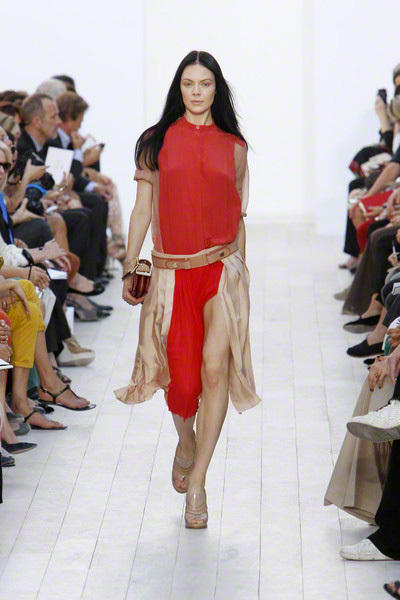 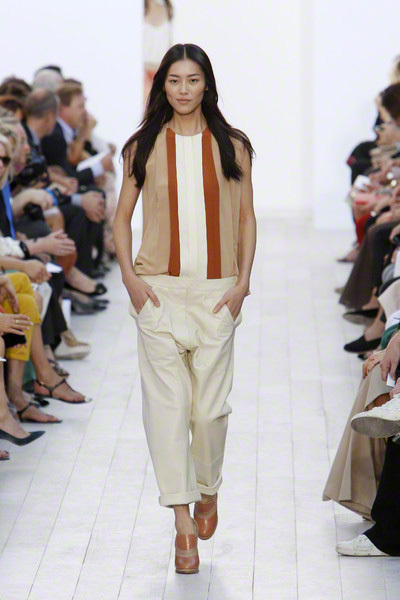 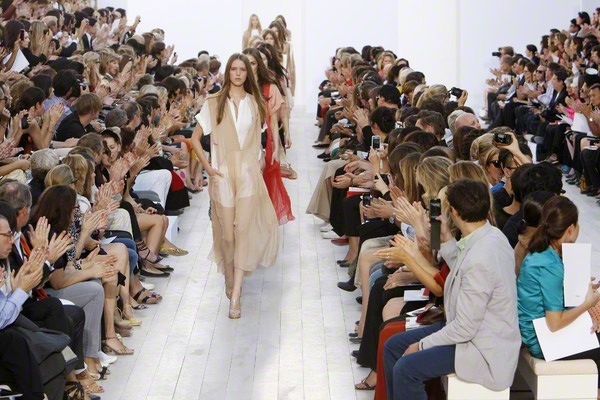 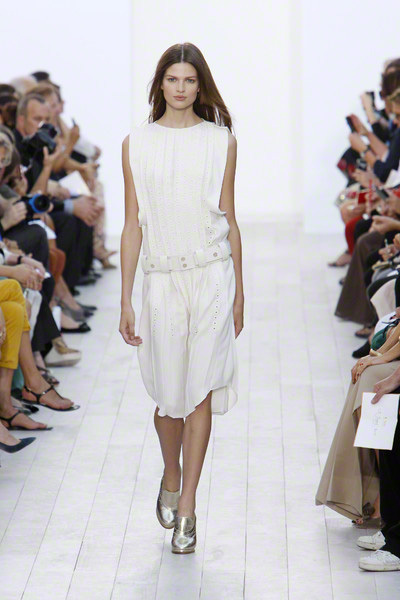 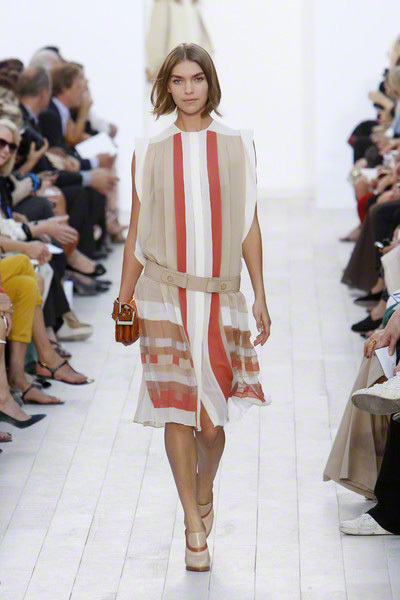 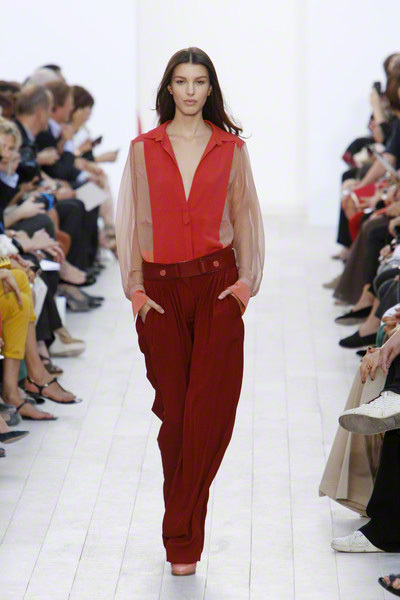 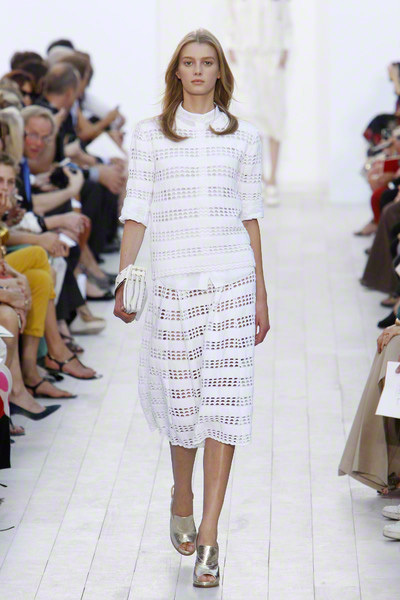 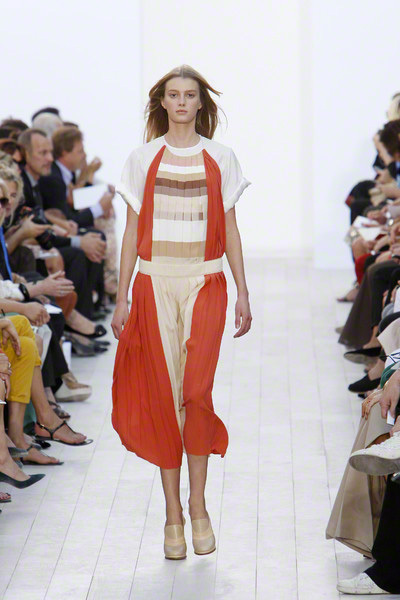 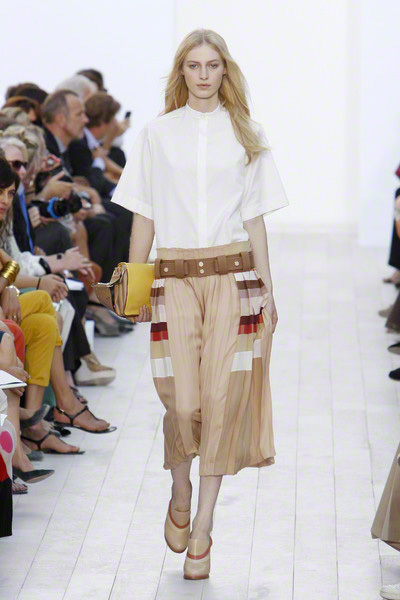 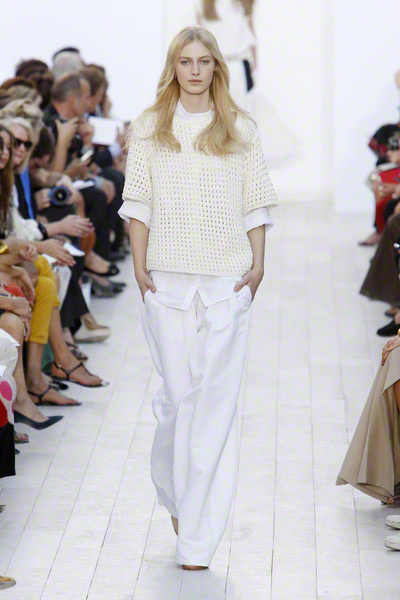 That was a light-hearted and feminine first Chloe-collection of Clare Waight Keller. 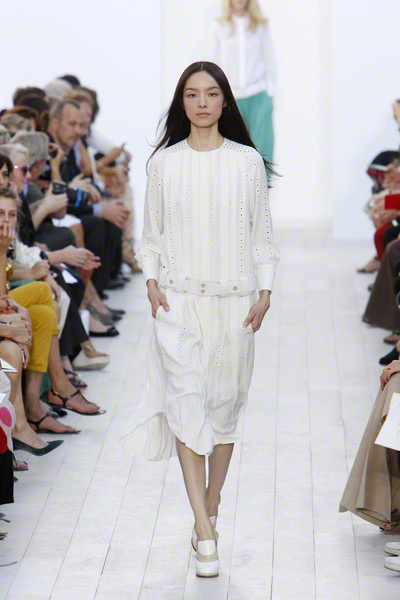 The British designer just came from Pringle of Scotland and made a big change crossing the Channel. 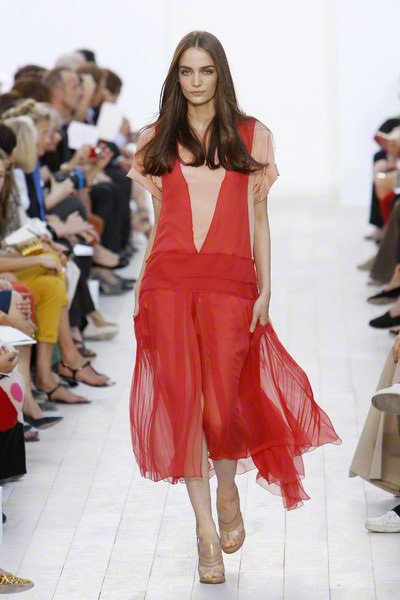 She said to the press she wanted ‘a sense of ease and femininity’ in her collection, and she succeeded. 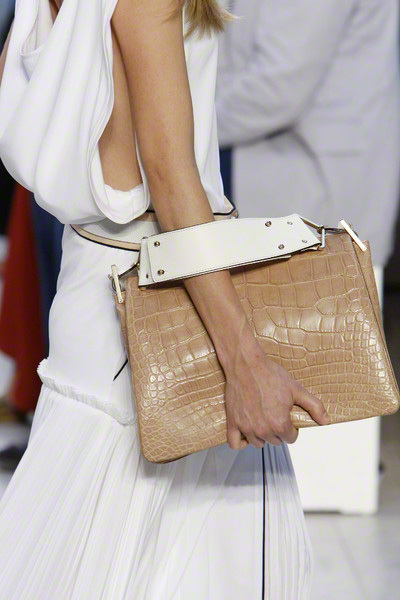 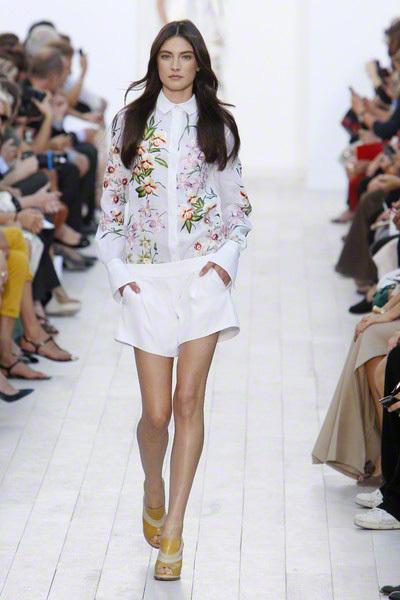 She even used elements Karl Lagerfeld introduced during his time at Chloe, not only the prints but also embroideries. 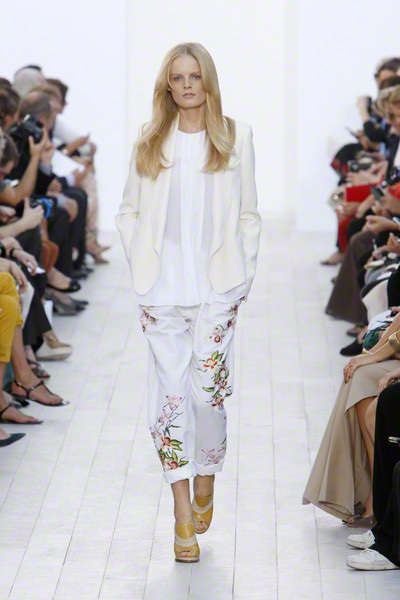 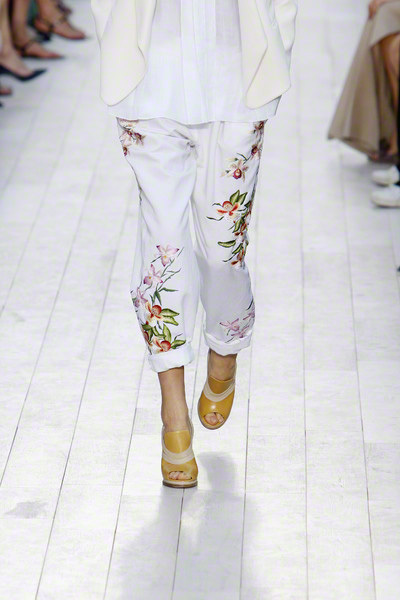 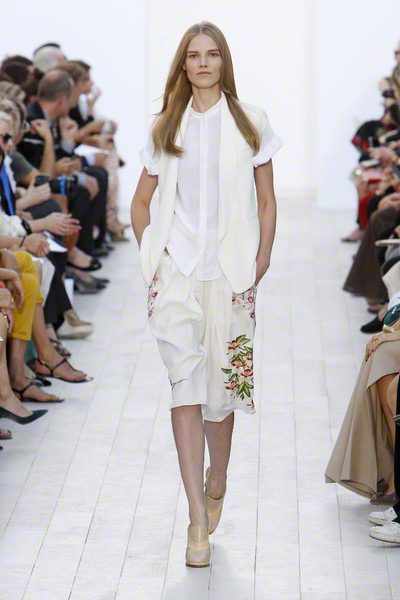 Keller took the flower-prints and put them at the sides of white pants and shorts or all over a white blouse. 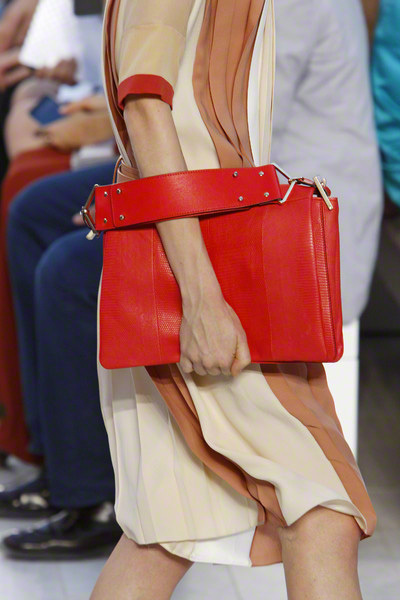 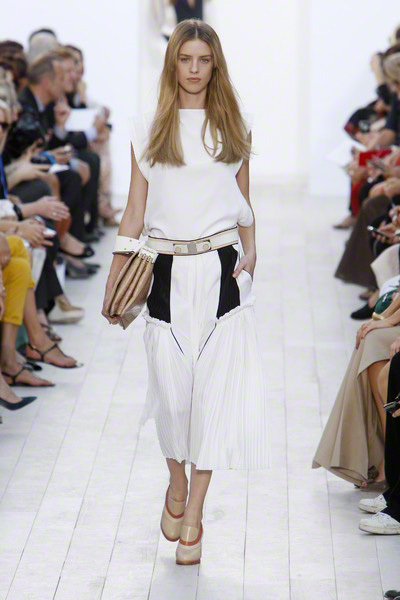 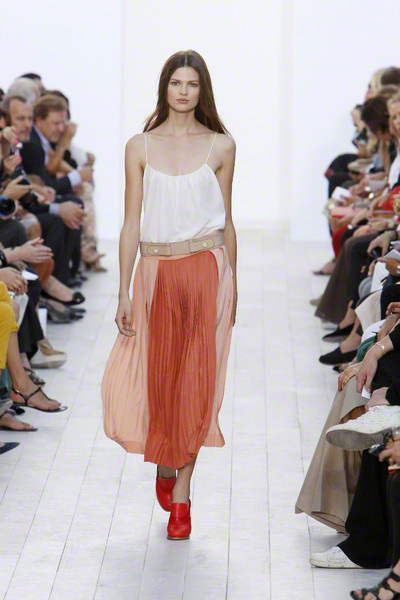 Pleats, a major trend in the European collections, were a key element and gave the collection an appealing attitude. 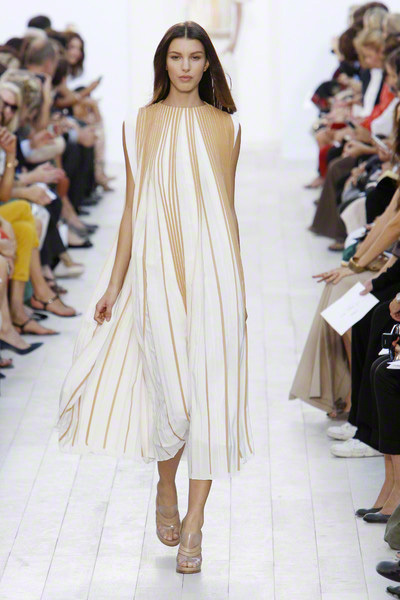 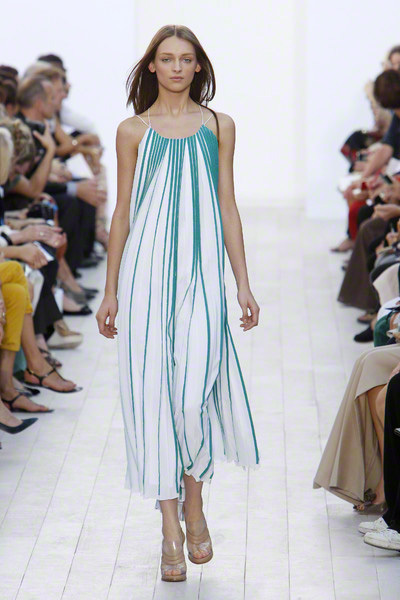 The show opened with long, flowing dresses, where the over-dyed pleats looked like sunrays. 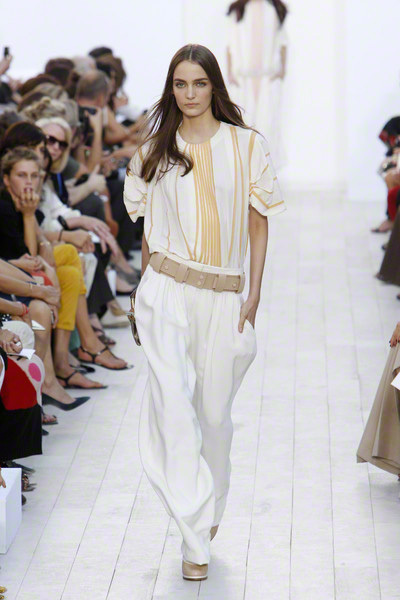 There were boyish elements too, like wide shorts and trousers, and sheer dresses shaped like dungarees and worn over a tunic.